Responsibilities: Designing and developing graphics and multimedia content for product illustrations, logos, websites, videos, and animations. Setting up and implementing ... required in relevant field. Technical knowledge and proficiency of design software essential (Adobe CS6: Illustrator, InDesign, Photoshop). Competency in Mac OS X essential. Companies presently offering Illustrator job vacancies in Cape Town City Centre include Woolworths, AECOM, .. 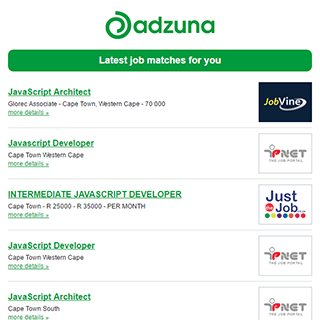 The Adzuna recency index score for this search is 1.63, suggesting that demand for Illustrator job vacancies in Cape Town City Centre is increasing. There are 115 Illustrator job vacancies in Cape Town City Centre available immediately, compared to 4 in Bakoven. Get the latest Illustrator Jobs in Cape Town City Centre delivered straight to your inbox!